Konrad Urban has a wide-reaching interdisciplinary interest in freedom which he tries to realize by reading a combined degree in Philosophy, Economics and Art History at the University of Durham and collaborating with many organizations internationally and in Poland, his home country. Intellectual property is one of his favorite subjects. Konrad enjoys pancakes and battling statism. Abstract: This paper aims at determining whether the concept of the welfare state can be compatible with Thomas Aquinas’ political philosophy. Since the welfare statist model is increasingly applied in more economically developed countries, including Catholic ones, the question of compatibility is asked. The question is analyzed on two levels, the theoretical and the implementational: whether the welfare state is just according to Thomism and whether the state has the moral means to implement it. Various policies typical for the welfare state are assessed from a Thomist perspective. The paper shows the incompatibility of authoritative redistribution, money creation, forms of repricing and forms of taxation with Aquinas’ thought. Furthermore, the scope of some values that usually conceptually underpin policy-making, such as justice or equality are shown to be incompatible. The paper concludes that Aquinas’ thought cannot be coincided with welfare statism. The concept of a welfare society – one based on charity and common responsibility – is proposed to be Thomist instead. 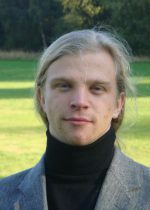 In his very scholarly essay, Konrad Edward Urban, student at the University of Durham, UK, recommends “The modern Thomist should strive to replace the current tax-based system of pseudo-charity with one that is voluntary and vote against money creation and the like. Anyone else can learn from Aquinas’ early insights”.